Last week’s post featured a Green Heron tip-toeing through the marsh grass searching for breakfast. As the above shot illustrates, and much to the chagrin of the minnow, he found it . 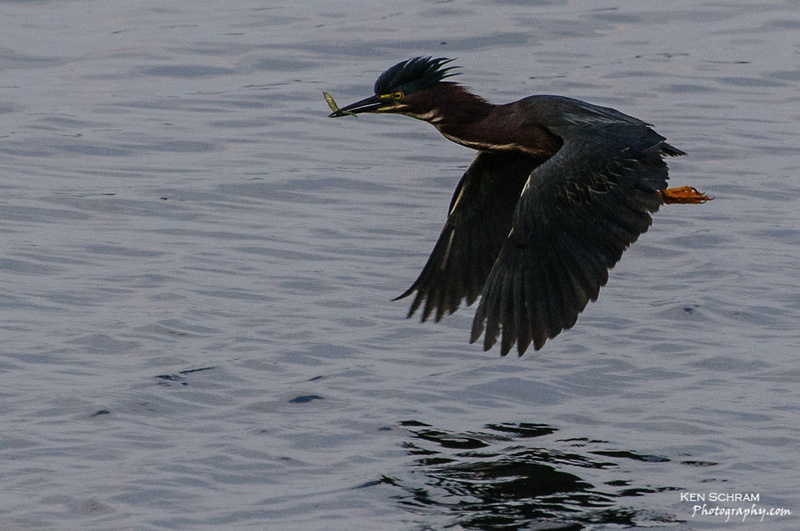 Can anyone tell me why they call these “Green Herons”? Looks more brown and grey to me. Maybe it's the light?